The City of Daleville, Municipal Court is now accepting applications for part-time magistrate. This is intended to present a descriptive list of the range of duties performed by employees in the class. Specifications 'are not intended to reflect all duties performed within the job. Additional and different duties from those set forth below maybe required. 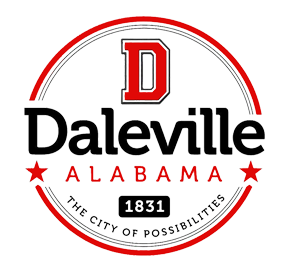 The City of Daleville is an equal opportunity employer, and thus no person will be excluded from participation in or be subjected to discrimination on the grounds of race, color, handicap, gender, religion, creed. national origin, or age. Reasonable accommodations win be made jar qualified disabled applicants or employees. The City of Daleville reserves the right to withdraw any intent to employ at any lime. Performs a variety of duties involved in receiving, evaluating, prioritizing, and relaying calls for emergency and non- emergency public safety assistance; dispatches appropriate units and coordinates response of emergency personnel; operates a variety of telecommunications equipment including radio, telephone, and computer aided dispatch systems; and performs a wide variety of specialized clerical duties involved in the preparation, maintenance, and release of materials related to Jaw enforcement activities. · Possession of valid Alabama driver's license. · Possess High School Diploma/GED. · CPR I AED Certified. · Principles and procedures of police dispatch system. · Knowledge of police and fire radio procedures. · Diplomacy and effective public relations practices. · Must be able to articulate and speak clearly. · Considerable knowledge of tile geography of the City and its surrounding area. · Evaluate response necessary as dictated by a given request for service; determine nature, location, and priority of calls; operates dispatch system to dispatch calls for service within response guidelines; assign and dispatch appropriate emergency vehicles, equipment, and personnel; transfer calls to other' agencies. · Perform a wide variety of specialized clerical duties involved in the preparation, maintenance; and release of materials related to law enforcement activities including to organize, process, maintain, update, and route a variety of departmental reports, records, and files; make inquiries; enter reports; update individual files; update codes. · Records complaints, accidents, and dispatches and alerts appropriate personnel. · Enters calls for services into computer, time-stamps the case cards for every dispatch. · Monitors fire and burglar alarms, contacts appropriate personnel, and alert property or owner. · Collects information on each call for responding officers or fire personnel. · Dispatch fire and rescue assets. · Monitor status on emergency personnel when out on call. · Fulfills requests of officers to check outstanding warrants on persons. · Responds to E-911 calls, and determines needed emergency assets. · Monitors camera system of jail area and of Department proximity. · Responds and assist people coming into Department, and calling on an officer if needed. · May be assigned special duties or assignments by the Director. · Must be able to act quickly and calmly in emergency situations. · Work is performed in an office and emergency services dispatch center setting with extensive public contact incumbents are required to work evening, night, weekend, and holiday shifts; incumbents may be called back or held over to maintain staffing levels. · May be exposed to hostile person or persons and hazardous or stressful situations while completing assignments. · Require sufficient physical ability and mobility to work in an office and emergency dispatch center setting; to stand or sit for prolonged periods of time; to occasionally stoop, bend, kneel, crouch; reach, and twist; to lift, carry, push, and/or pull light to moderate amounts of weight; to operate office equipment requiring repetitive hand movement and fine coordination including use of a computer keyboard; and to verbally communicate to exchange information. The Department of Public Safety for the City of Daleville is now accepting applications for a full-time Police Officer. Starting pay is $12.50 per hour, with medical and dental benefits. The City of Daleville is an equal opportunity employer.